SmartThings Know and Control Your Home is a system that is designed for the do-it-yourself enthusiast to help you keep tabs on what is going on inside your house when you are away. The SmartThings system can alert you when doors, cabinets or drawers are opened, when pets leave the home and return and even tell you when water is present in the home to prevent flooding while you are away. Most importantly, SmartThings Know and Control Your Home is easy to use and is consistently highly rated and praised among homeowners who have invested in it. The basic SmartThings Know and Control Your Home Kit is available on Amazon.com for about $299, making it one of the more affordable home security kits on the market today. The SmartThings Know and Control Your Home System connects to your smartphone to alert you when any of the sensors are triggered within your home. You can choose where to place the sensors. If you have a drawer or cabinet where you store valuable items such as jewelry, the system will alert you immediately if the area is disturbed. One of the most convenient features of the SmartThings system is the ability to turn on air conditioning or heaters before arriving at home. Using this system will allow you to save money by turning your heating and cooling off while you are at work. 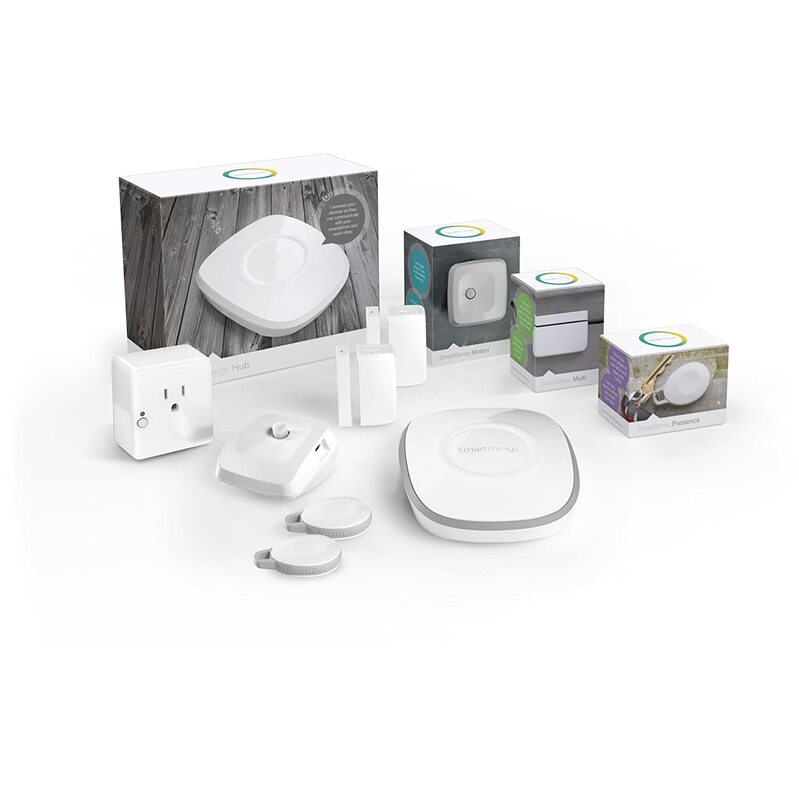 The SmartThings Know and Control Your Home utilizes a main hub that is connected into your home internet. The hub can control any number of devices, including locks. You can also purchase additional sensors that connect into the system. For instance, the water detection kit is available for purchase separately and will tell you if any water is present near the sensor. The SmartThings system can also work as a security system when you are at home. The system will alert you when any motion is detected outside your home and take a photo of the area where motion has been detected. This feature is a valuable tool that increases your safety if you live alone or have children in the home. You can also see what is happening in different rooms in your home using the SmartThings Know and Control Your Home system. For instance, you can install a sensor in your children’s playroom and watch your child while completing chores in other rooms. You will find that there are several alternatives that you can install yourself to improve the security in your home, either in addition to or alternatively to the SmartThings Know and Control Your Home Kit. 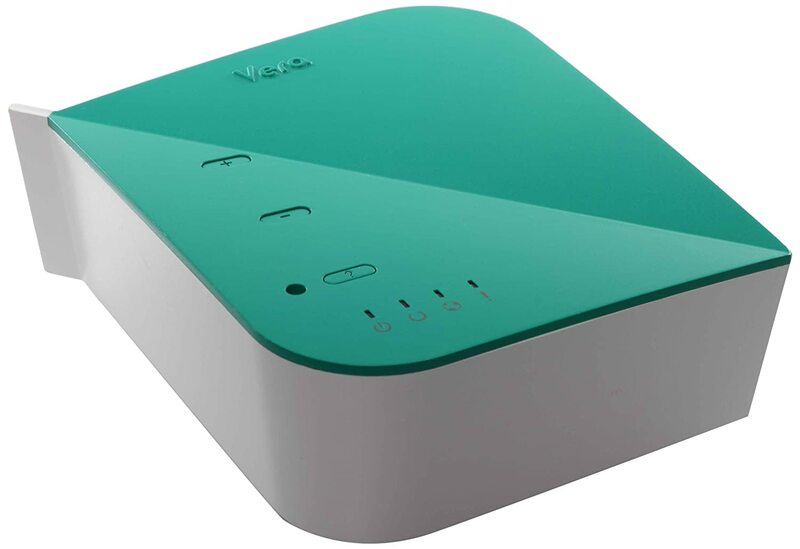 The Mi Casa Verda VeraLite home automation system is priced at an affordable $179 and controls lights, locks and cameras in your home with no monthly fee. 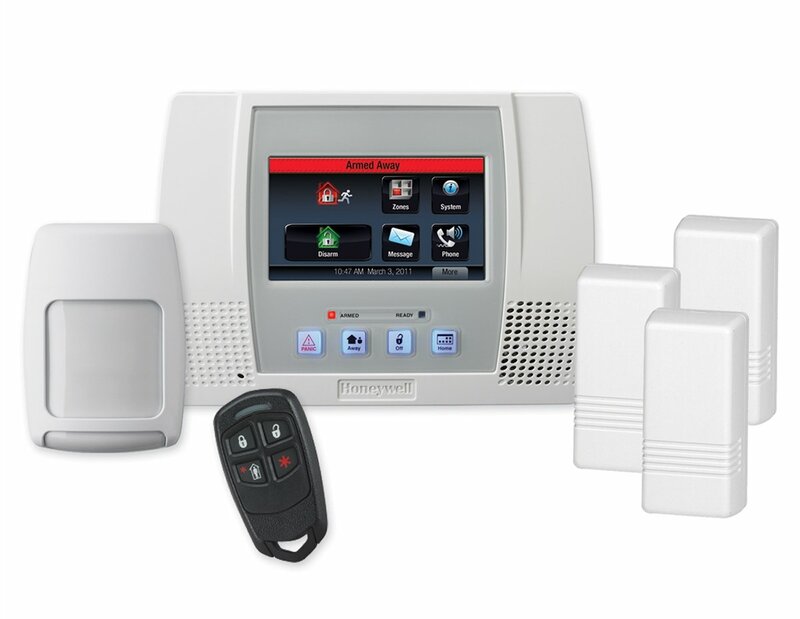 The Mi Casa system works by connecting to your home’s internet, but the system can also be accessed from any internet connection on your smartphone, tablet or laptop. VeraLite also offers live streaming from any security cameras installed in your home for instant access to your property from anywhere you can access the internet. Mi Casa Vera VeraLite has received four out of five stars based on customer ratings. 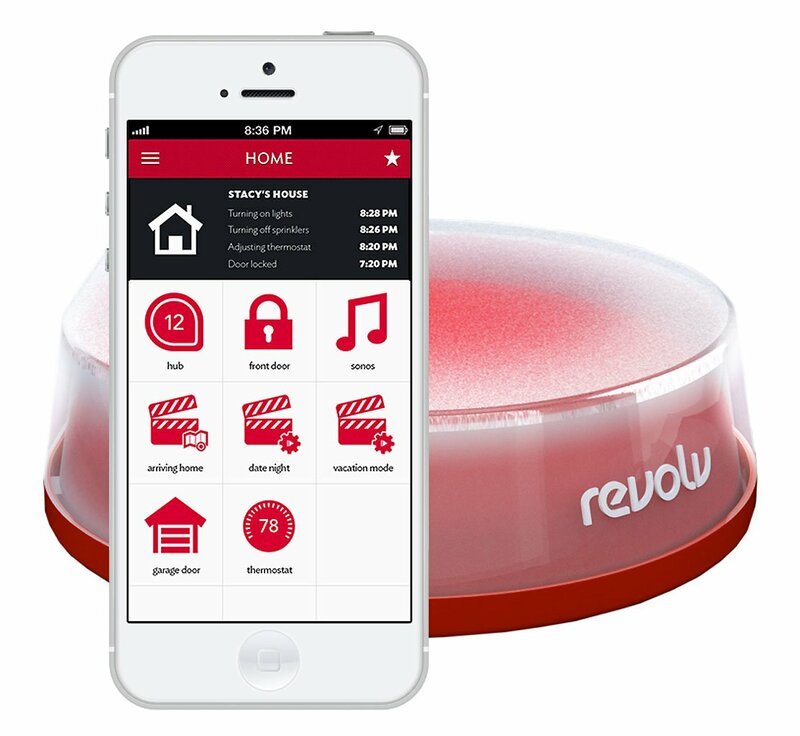 Revolv Smart Home Automation Solution is a home automation system that connects your smartphone and home wifi to create a security net that you can count on. The Revolv Smart Home Automation Solution is $299 and includes a hub that connects to sensors and cameras that can be placed anywhere inside your home. The Revolv system has received a four star out of five star rating. The Honeywell Lynx Touch is a home automation and security system that makes your life easier with a few simple functions. This particular kit comes with the touch control panel, three wireless door sensors, a wireless motion sensor, a backup battery, a remote key fob, a 9V power transformer, and all the required mounting hardware for either stick-on mounting or screw-in mounting. The Honeywell Lynx Touch is available for about $274. 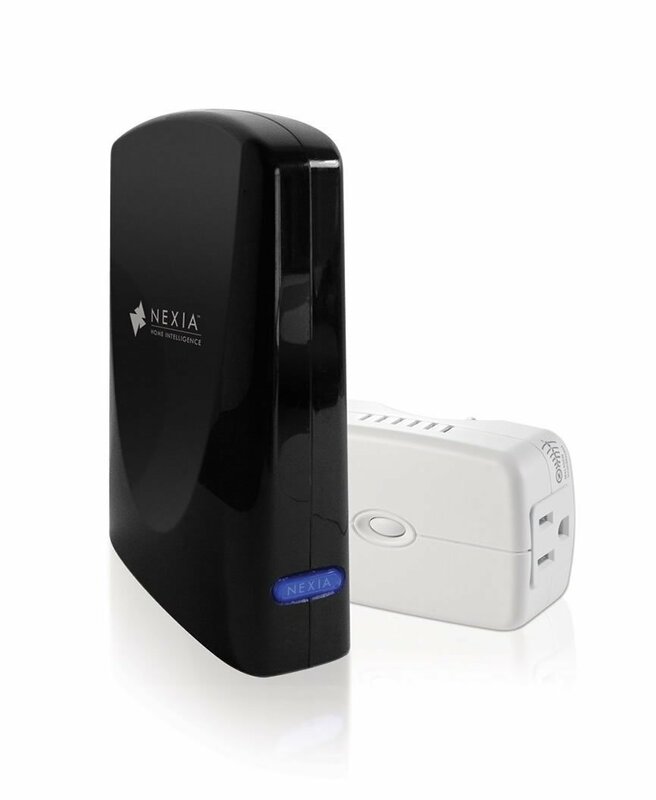 The Nexia Home Starter Bundle Kit is a home automation system that works using your subscription to the Nexia service. Once installed, you can use the Nexia system to control locks, heating and cooling systems and to view security footage from inside the home. You can purchase the basic starter kit for $79.99 and then purchase additional features and devices that are compatible with the system to expand the abilities of the Nexia system. The Nexia Home Starter Bundle Kit has received four out of five stars by customers who have used the Nexia home automation system. When deciding which home automation system is right for your personal needs, one of the things to consider is whether you want a free system or if you prefer a subscription. You will also want to decide whether you would like the devices professionally installed or if you want to install the components yourself. You can narrow down your options and find the perfect home automation kit for your home by researching your options and determining your budget for maintaining the system once it has been installed. Is a Samsung Galaxy Note 10.1 a Good Tablet for Kids?